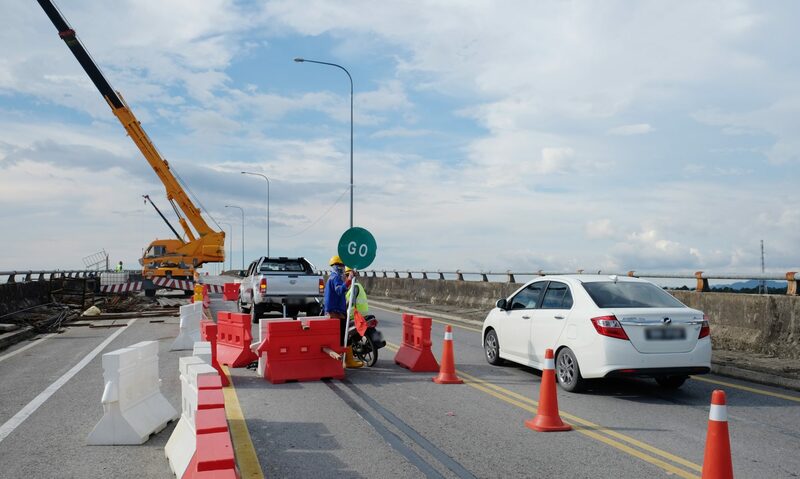 HSL and Dhaya Maju Infrastructure (Asia) Sdn Bhd jointly clinched the RM1.6bil project to upgrade and built a section of the Pan Borneo Highway in Sarawak. 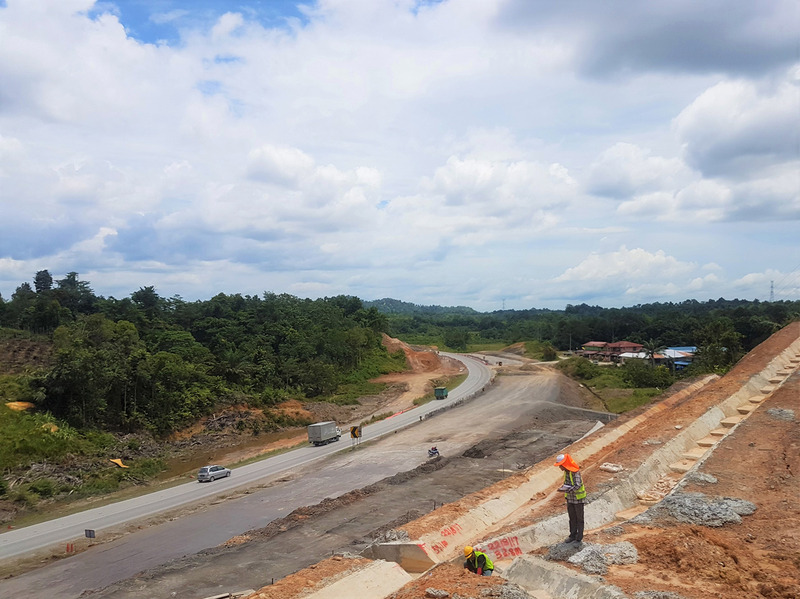 HSL’s work package seven — commonly referred to in the media as WPC7 — covers Bintangor to Julau (28km), Durin Bridge (1.9km) and Sibu interchange to Sungai Gua Bridge (46km). 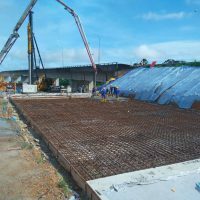 Our job includes earthworks, piling, drainage, roads, interchanges, bridges, mechanical and electrical works. 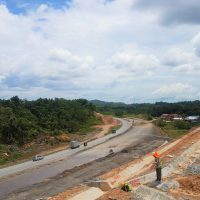 The Pan Borneo Highway is Malaysia’s biggest road project, spanning more than 2,000km. 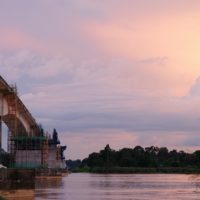 When completed it will connect, Sarawak and Sabah via the Sultanate of Brunei. 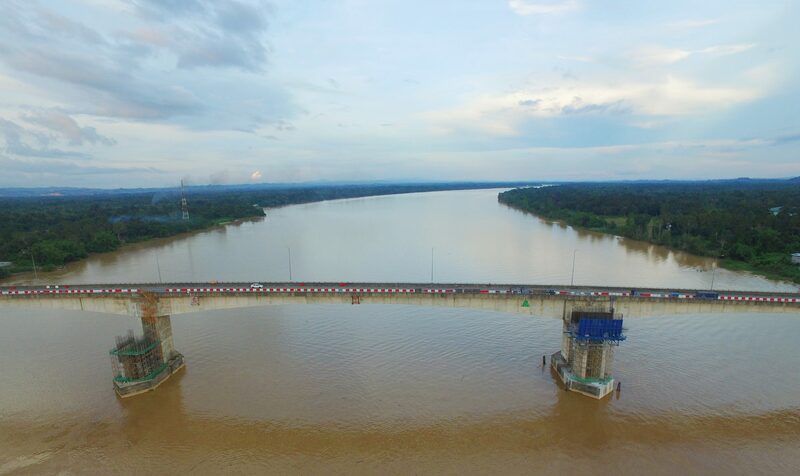 Construction of the 1,090km portion in Sarawak is divided into a dozen packages. HSL was a forerunner and was one of the earliest awarded a package. 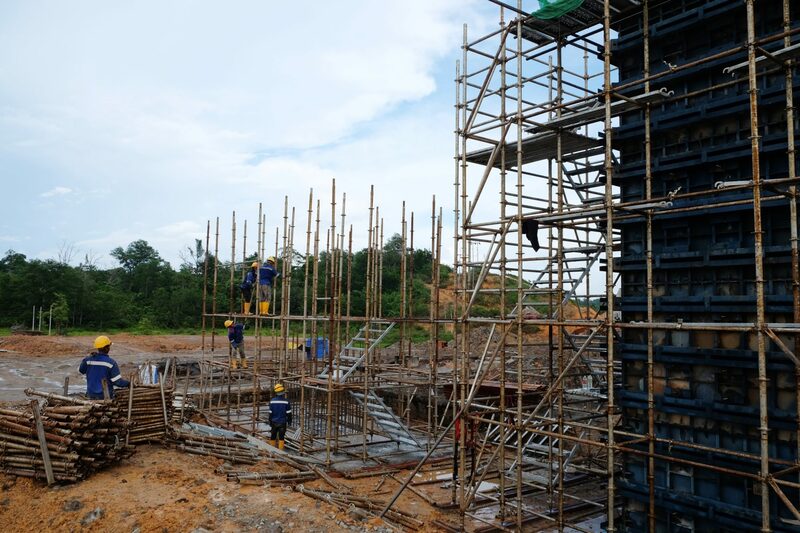 For a project of Pan Borneo’s scope, the sheer amount of materials and manpower needed is staggering. Here’s a quick look at what HSL brings to the table. HSL’s WPC 7 of the highway is among the most challenging. 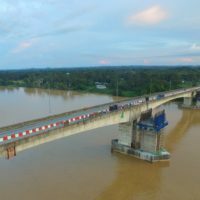 It involves 18 bridges, including a bridge across the Batang Rajang, which is Malaysia’s longest river. 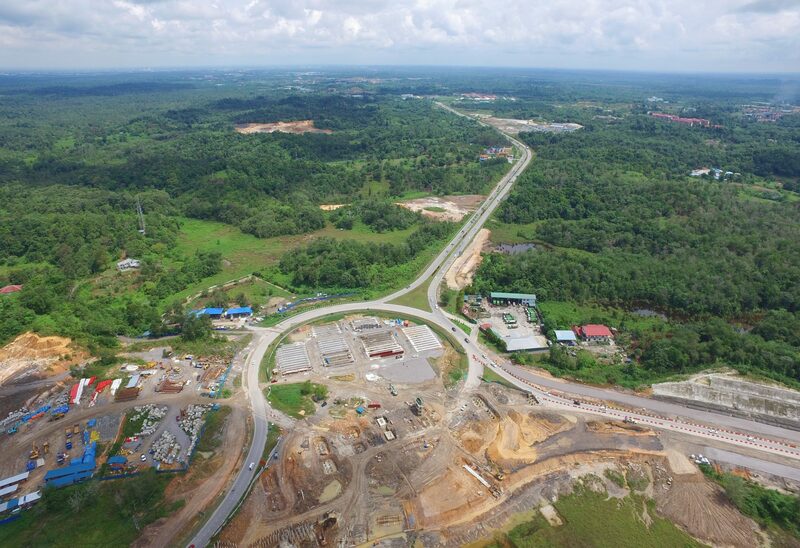 WPC 7 includes two interchanges: a flyover near Julau, and another flyover for seamless travel between Sibu Airport, the town centre and towards Bintulu. The latter interchange is being built in four phases, requiring careful traffic diversion. 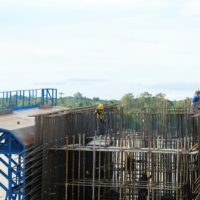 There are also 79 bus shelters, seven pedestrian bridges and one lay-by across this span of 76km – all requiring precision engineering and calculations to build. 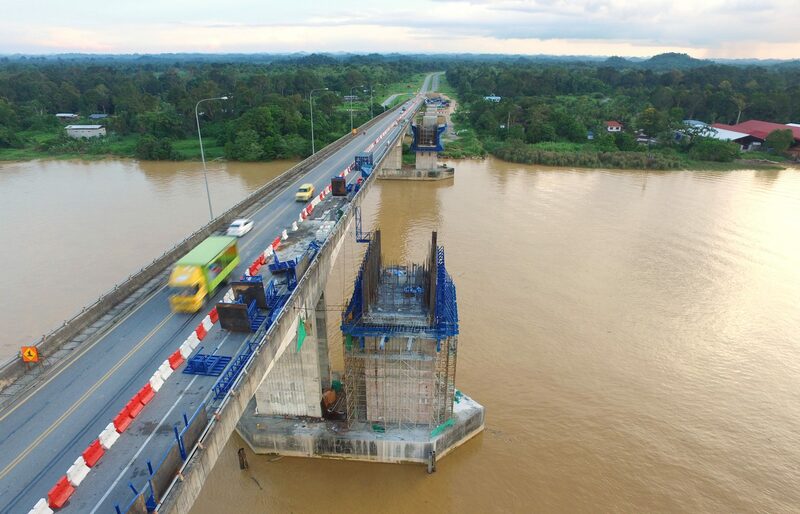 Durin Bridge, which spans the mighty Batang Rayang, opened in 2006 with two lanes. 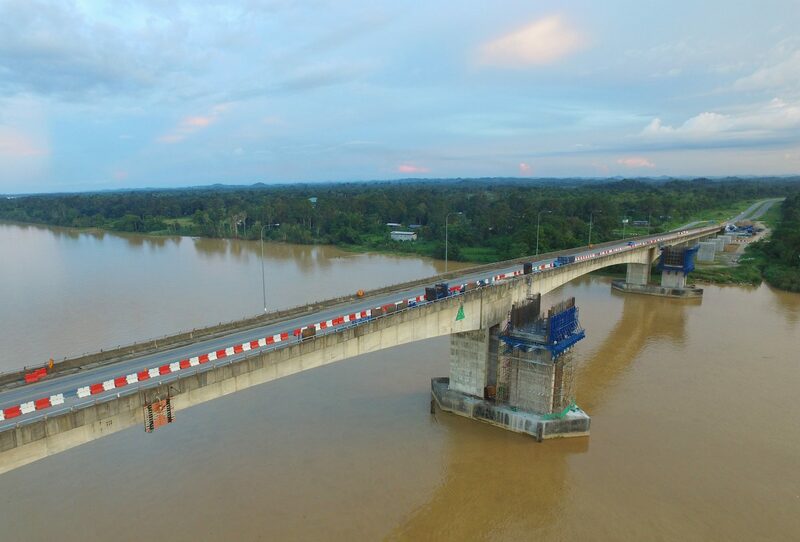 Because it is an integral part of the Pan Borneo Highway, the bridge is being expanded to accommodate twice the amount of traffic. 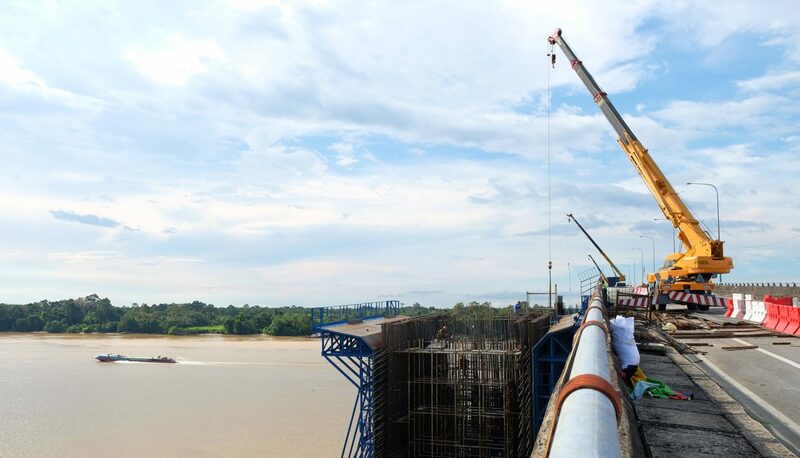 HSL’s WPC7 includes creating a new bridge structure that runs parallel to the 1.9km existing bridge. 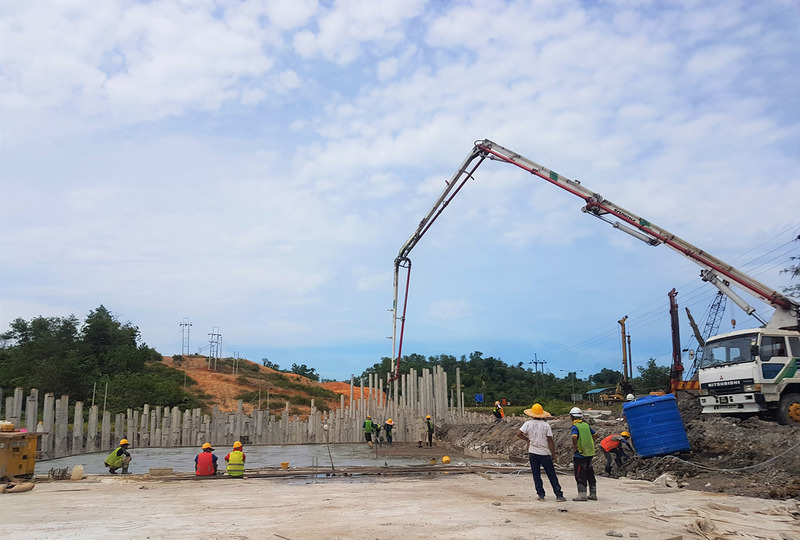 To achieve that, new support columns are being constructed at the existing piers, without interrupting the flow of traffic. 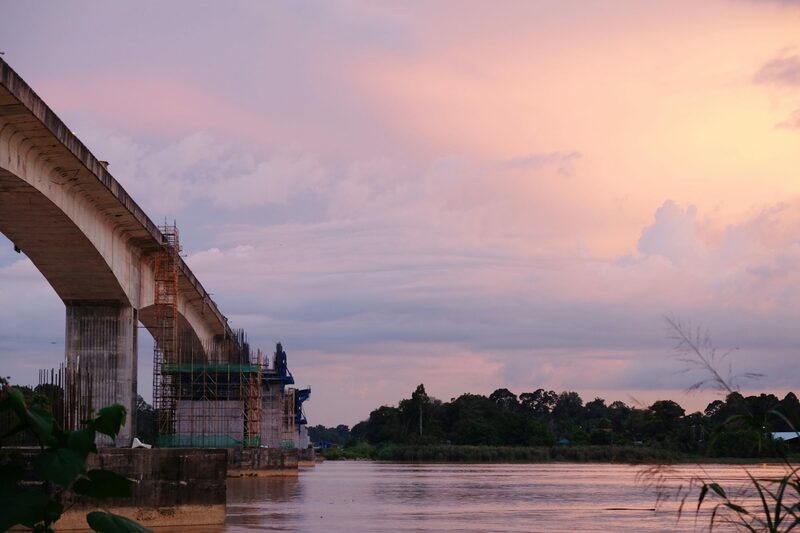 “It’s not often you see bridges like this here. Maybe in China, it’s common. Not here. 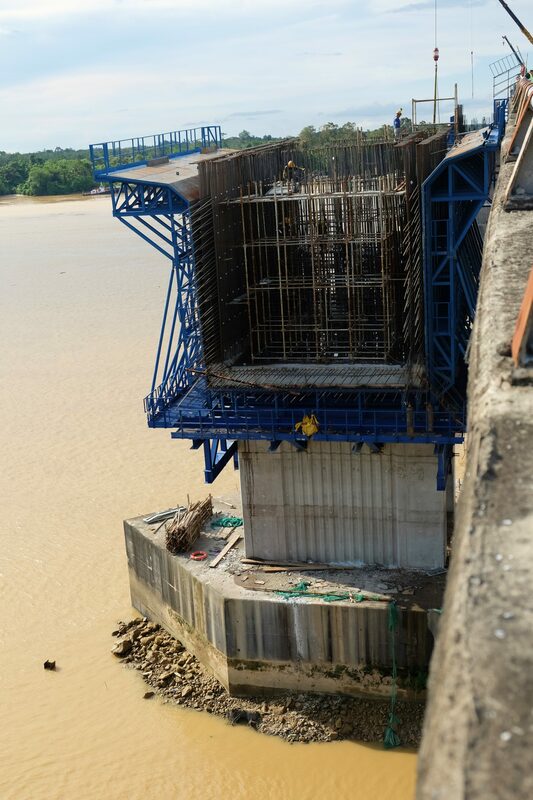 For this bridge, we are using a method called ‘incremental launching’. 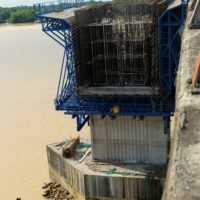 There are a total of 16 pile caps that provide the new road section with its stability, drilled right into the banks of the Rajang River. 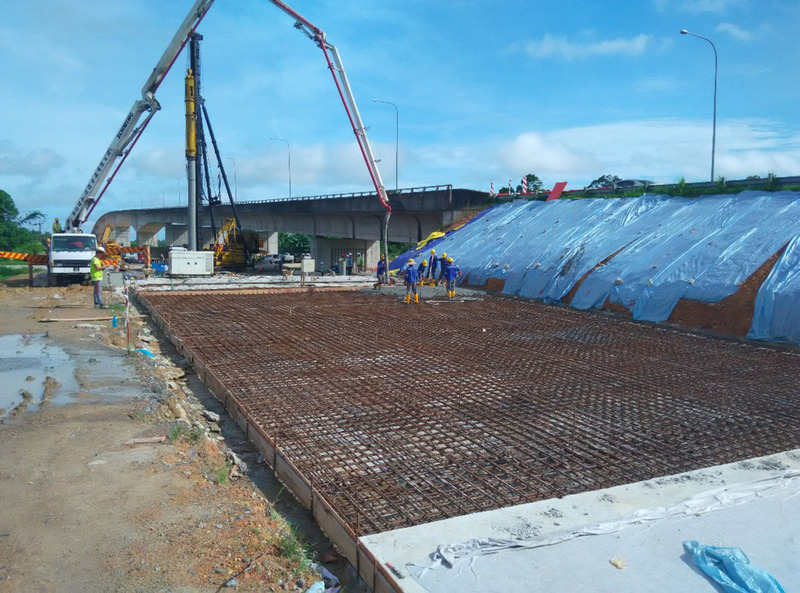 The concrete mat layers are then filled up using special ‘hammerhead’ building casts, creating the structural columns for the new bridge portion. 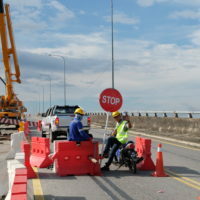 Safety officers also ensure that motorists are able to use the bridge safely as work continues. In WPC7, some 4.04mil cubic meters of terrain need to be cut, while earth-filling will total 4.8mil cubic meters. As for road construction, aggregates amount to 2.2million metric tonnes. 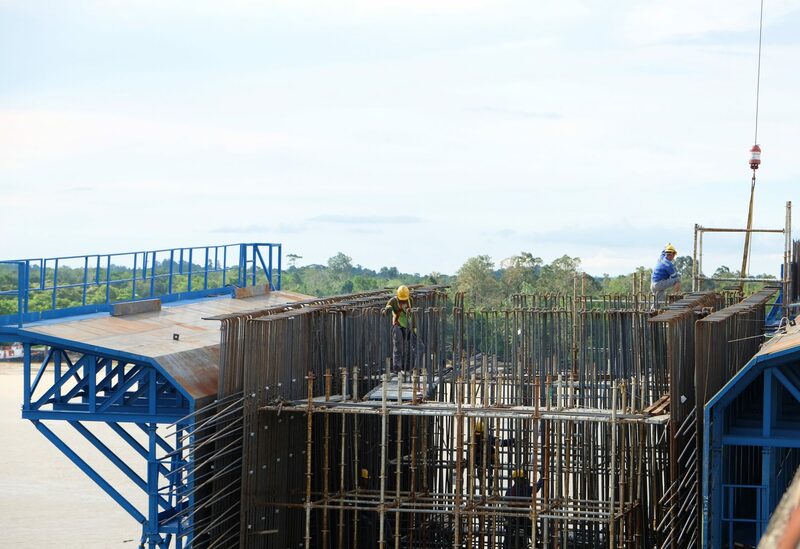 A HSL subsidiary is also building a new premix plant as the quality requirement for Pan Borneo Highway is high. This new plant will create batch-mix premixes, and will operate alongside the subsidiary’s existing drum-mix plant near Sibu. 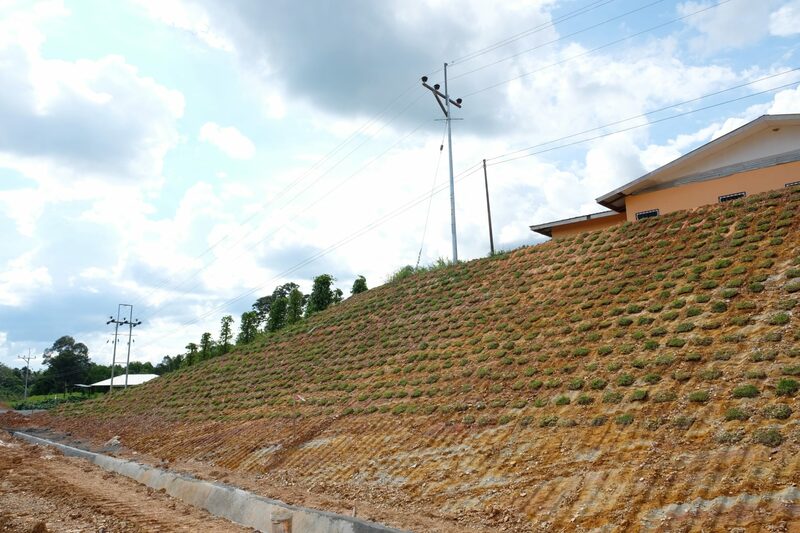 Environmental impact mitigation measures taken throughout the Pan Borneo Highway is extensive. 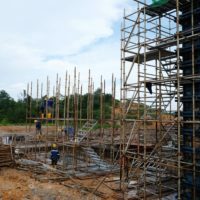 The upgrading of highway involves massive earthmoving. 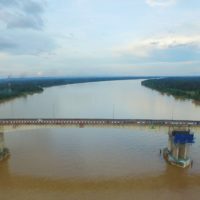 Just within HSL’s portion, the amount is estimated to reach 4 million cubic meters. 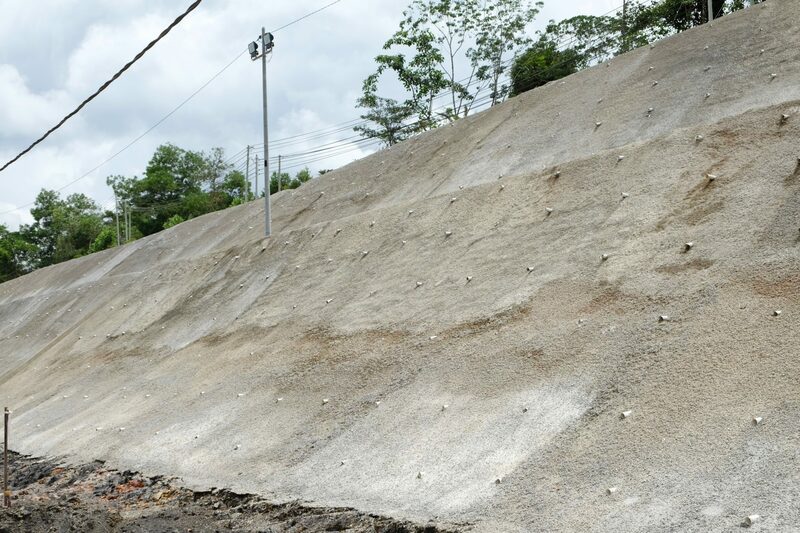 “For the Julau section, the cut-and-fill sections are on hills that are soft enough for us to create turf in order to prevent slope failure,” assistant project manager James Wong said. 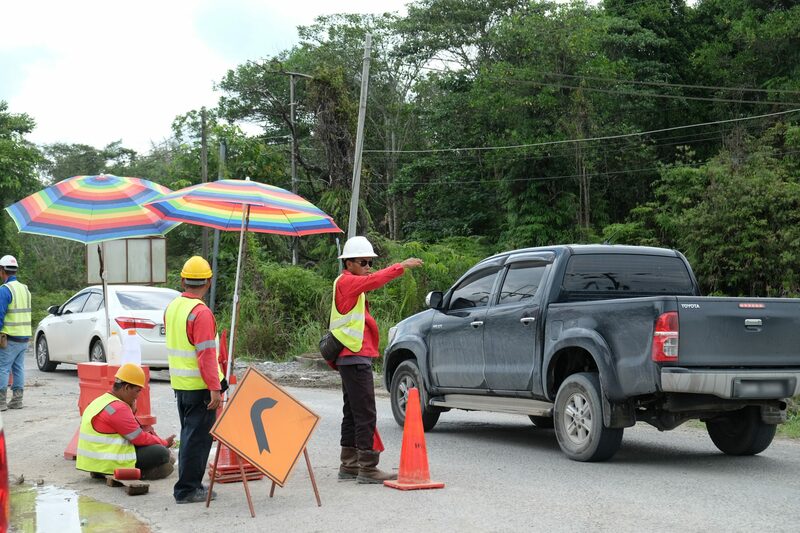 During construction, traffic remains heavy on the existing trunk road – which is the only land infrastructure connecting all of Sarawak’s rural settlements to towns and cities. Traffic is uninterrupted 24/7 across all sections. In WPC 7, only about 10% are completely new roads, as the rest involves upgrading and building new lanes based on the trunk road. 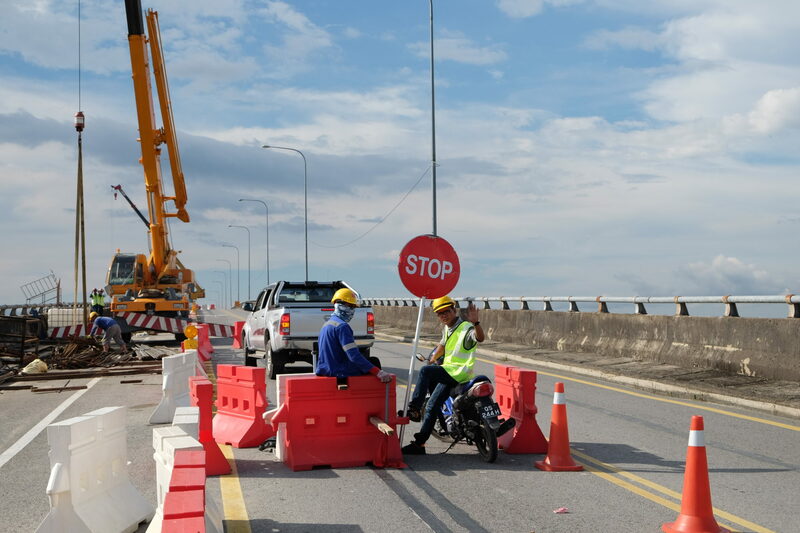 HSL has a team of almost 50 traffic safety officers stationed across 76km, including the bridge. 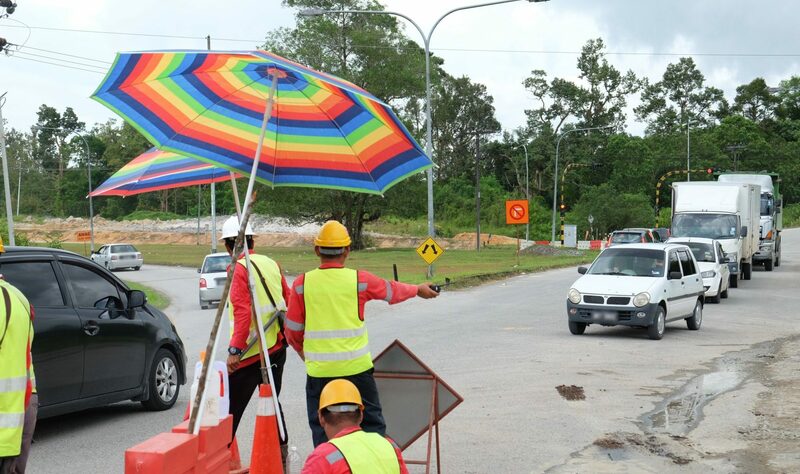 The officers can be easily spotted with their personal safety equipment, wearing high visibility vests while using batons and signages to signal motorists about the road diversions.